Fresh Mountain is Europe's first urban festival on snow, and a new Alpine venture from the team behind the famous Fresh Island Festival in Croatia. The new project will no doubt share the same musical flavour as their summer party, bringing the forgotten sounds of hip-hop, R&B, afro, bashment and grime to the snow-capped winter festival world, showcasing them across a mountain stage, aprés ski events, a main festival stage and inside an after party club offering an array of day and night activities throughout. Set upon the slopes of the incredible Les Orres resort in the south of France, the site offers skiing, snowboarding, trekking, sledding, paragliding, ice skating and much more to fulfil everything a winter break bucket list could ask. Not to name heated pools, saunas, steam rooms and jacuzzis for those wanting some relaxing warmth. Famed for its comfortable altitude and wide, tree-lined slopes and – for the thrill-seekers at least – its snow-park, Les Orres is a relatively new ski resort with state-of-the-art facilities to make your stay as enjoyable as possible. 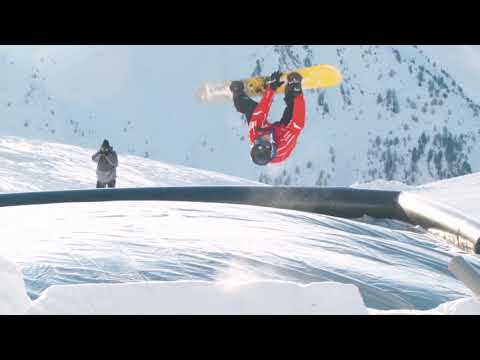 9 - 16 MARCH 2019 AT LES ORRES, FRANCE FIRST EUROPEAN URBAN FESTIVAL ON SNOW! After 7 successful years on an island, we are taking it all the way up! From Zrce beach to the Alps, Europe’s hottest urban hip hop festival is here to give you best of both seasons. Hope you join us on this ride! BE FIRST IN LINE FOR MORE INFO AND LIMITED PACKAGES! ONLY those who register will have access to the lowest-cost limited packages for Fresh Mountain 2019!